Have you ever wanted your very own Tiger? You can now build your own Build-a-Bot Tiger - it’s easy! Build-a-Bot Tiger comes with 20+ parts. Easy to build with simple snap together components. 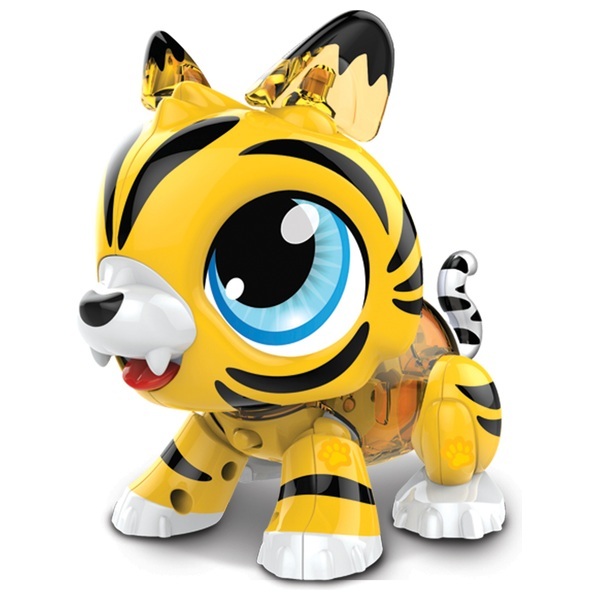 Add your own personal touches and clap to activate your Tiger’s sound and movement. You can even take it apart, reassemble it or mix and match with the other characters. How it works - Easily build your own Tiger with simple snap together components. The Electronic motor allows your pet to hop across the table and over obstacles! Complete your creation with your very own sticker designs. Bring your pet to life with sound activation technology!